A few boats are headed to 10 Mile in the morning the forecast is calling for flat water with winds around 10 @ noon and building in the afternoon. Looks like a great day for sailors of skill levels to sail in the open gulf hope to see some more boats show up. We will be at Surfside beach access #6 aka 10 Mile. I will have your shirts in my truck if you ordered one just remind me or I will forget its $15 per shirt. PS. I already know those were some ugly sails on my first 5.5sl pictured above! Lol!! ~ by Floyd on August 19, 2011. When is the next gathering at Surfside? Keep an eye here or on facebook. 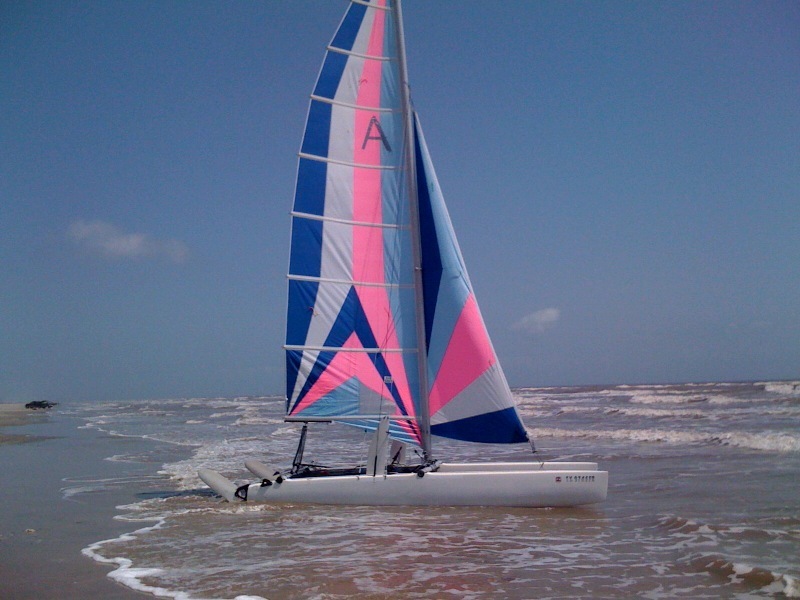 My boat is getting closer to being ready so hopefully I will be headed back out to surfside more often really soon.